﻿ What is BIDI Optical Module? What is BIDI Optical Module? Using of WDM technology, send and receive both directions using different center wavelength, bidirectional transmission optical signal by one single fiber optical by one single fiber optical. General optical module has two ports, TX for the launch port, the RX receive port; of BIDI optical module is only one port is filtered by the filter in the optical module, while completing the 1310nm optical signal transmitting and 1550nm optical signal receiver, or vice versa. The module must be used in pairs and the greatest advantage is to save fiber optic resources. BIDI optical module used wavelengths including: 1310nm/1550nm; 1310nm/1490nm and 1510nm/1590nm and so on. BIDI SFP+ Module are designed for bi-directional 10G serial optical data communications such as IEEE 802.3ae 10GBASE-BX by using 1330(1270)nm transmitter and 1270(1330)nm receiver. The transceiver consists of two sections: The transmitter section uses a multiple quantum well 1330(1270) nm DFB laser and is a class 1 laser compliant according to International Safety Standard IEC 60825. The receiver section uses an integrated 1270(1330)nm detector preamplifier (IDP) mounted in an optical header and a limiting post-amplifier IC. 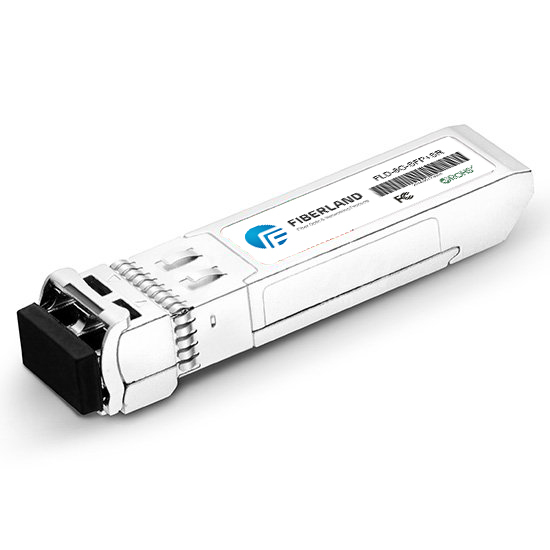 10G BIDI XFP series transceivers are designed for bi-directional 10G serial optical data communications such as IEEE 802.3ae 10GBASE-BX by using 1330(1270nm) transmitter and 1270(1330) nm receiver. The transceiver consists of two sections:The transmitter section uses a multiple quantum well 1330(1270)nm DFB laser and is a class 1 laser compliant according to International Safety Standard IEC 60825. The receiver section uses an integrated 1270(1330)nm detector preamplifier (IDP) mounted in an optical header and a limiting post-amplifier IC. A WDM gigabit interface converter (GBIC) is a standard for transceivers, commonly used for Gigabit Ethernet and fibre channel. Fiberland produces BIBI GBIC from 0.55km~160km, GBIC SR, GBIC LR, GBIC ER and GBIC ZR over single fiber application.